Pine marten translocations to Mid Wales continued for a third year during the autumn of 2017. 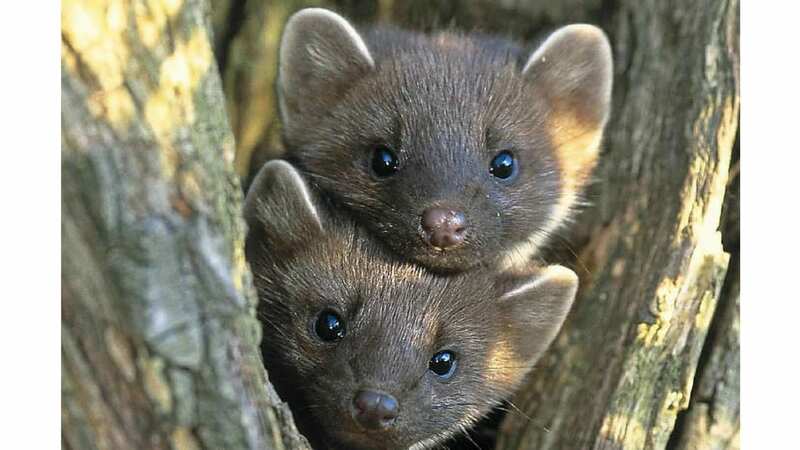 Vincent Wildlife Trust have now brought 51 pine martens from Scotland, with the latest batch of 12 being released at Hafren Forest and another woodland area very near to Bwlch Corog, the Cambrian Wildwood project site. 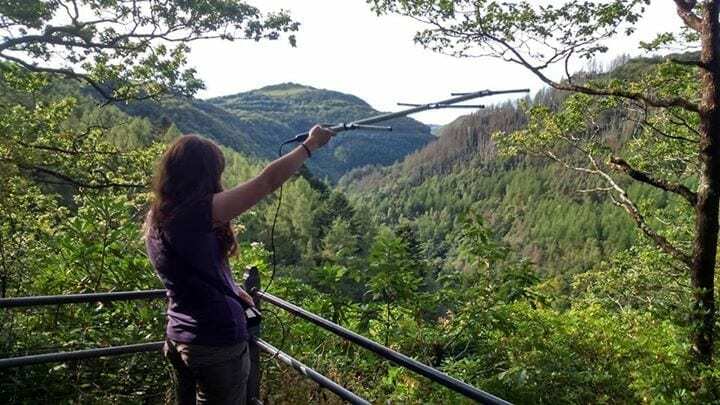 This completes the Mid Wales phase of their pine marten project, and sets up the species to become re-established as a stable population in this area, according to the scientific data and modelling. Tracking of the newly released and established pine marten continues to be carried out to provide information on their locations, population density and movements through the countryside. They are establishing themselves at low density over a wide area, choosing the best territories. While numbers remain low, the population is vulnerable to environmental influences. However, the number of individuals realeased and successful breeding over their first two years give cause for optimism. At least 15 kits have been raised by some of the females during both summers. There is real beauty and magic in experiencing wildlife in the wild. The work of returning native wildlife to the landscape is so important – it is what Cambrian Wildwood is all about, and we commend Vincent Wildlife Trust for their exemplary work. Most of the pine marten are no longer wearing collars for radio tracking. Monitoring of the population is increasingly dependent on sightings and camera traps. The project relies on volunteers for this work, as the pine marten are spread over such a wide area. If you would like to be involved, contact Josie Bridges at Vincent Wildlife Trust. For more detailed reports from the Pine Marten Project, see Pages 5 to 9 of Vincent Wildlife News December 2017.